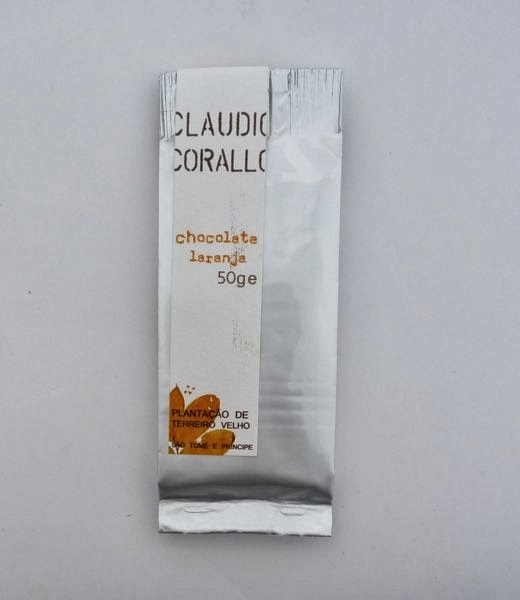 On the label affixed to the foil pouch of Chocolate Laranja from Claudio Corallo I found information printed in at least three different languages (English, Italian and French with a bit of Portugese and German). This international labeling reflected, in part, the journey of a small, hand-crafted chocolate from a small island off Africa to a few exclusive outlets in the U.S. and Europe. 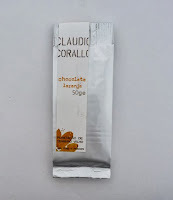 The chocolate came about when tropical agronomist and small cacao producer, Claudio Corallo, decided to revive an old strain of cacao on the Terreiro Vehlo Plantation, in Sao Tome e Principe, a small African island nation. The only place in the San Francisco Bay Area that carried this chocolate was Alegio Chocolate* (Berkeley, CA and Palo Alto, CA). 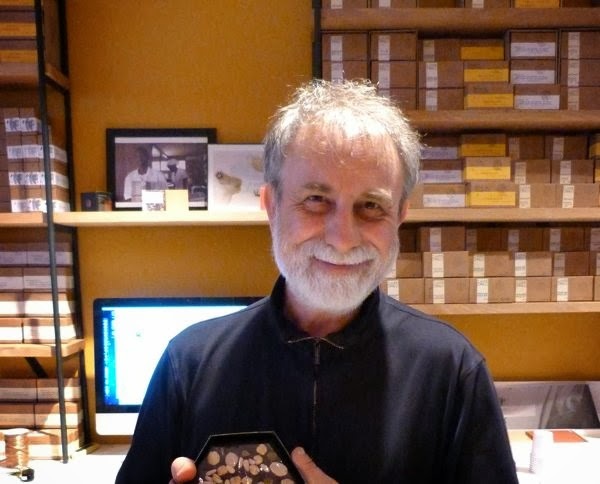 Alegio proprietor, Panos Panagos, served as a curator and virtual tour guide, for those wishing to know more about the source and the story behind this relatively pricey import with a unique flavor. He urged customers to smell, feel and taste this dark, soft chocolate. The thin bars of chocolate had indeed a very characteristic earthly/loamy, almost tobacco-like smell and taste. The chocolate was also less adulterated (no soy lecithin for a smoother texture, or vanilla -- which can mask some flavors). 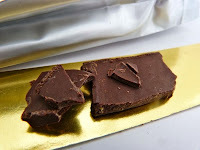 The chocolate may have lacked the gloss and hard snap of most tempered chocolates, but offered a unique tasting experience. When I sampled the first bite, the chocolate flavor profile was strong enough that the orange never had much of a chance to shine through. I could detect only a faint orange, citric acidic note. However, subsequent pieces had generous amounts of crystallized orange peel that, thankfully, possessed just the right amount of sweetness -- not too sweet, not too bitter.